No, this is not my choice of a meal, but I do remember as a kid liking the Chef Boyardee Beefaroni. So this might not be information you use daily. But you might have kids, grandkids, a niece or nephew. You might be watching them, and think what do I want to feed them. 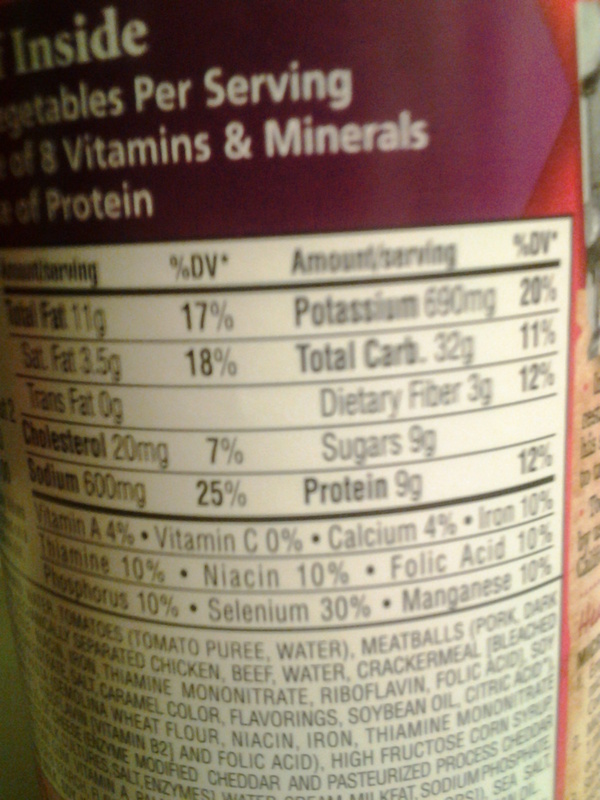 This can is over 500 calories, 200 fat calories and 50% of your daily intake in sodium. That last number is the biggest concern for me. 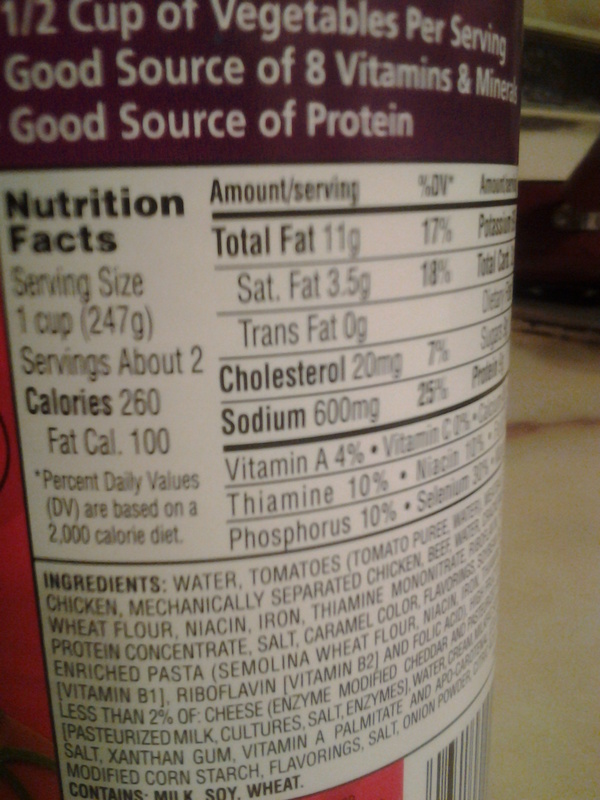 That is a lot of sodium. Do you have to worry about the calories, most likely not. Most kids are very active and need a lot of calories, but it might be good to develop good habit while they are young. Remember to check out all the nutritional Facts of the week. Also except my apologize for missing last weeks fact. 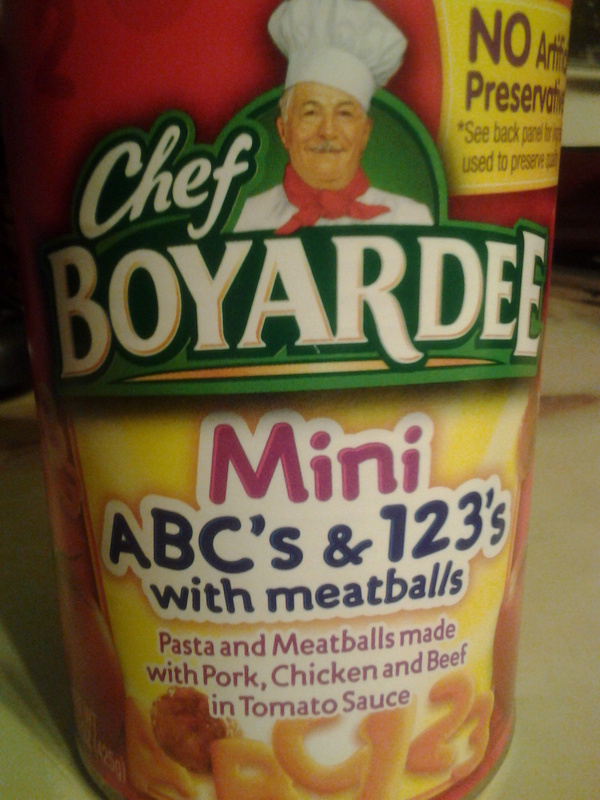 This entry was posted in Nutritional Facts, The Body and tagged Calorie, Chef Boyardee, cooking, Food, good habit, health, healthy-living, Home, nutrition, nutritional fact of the week, Nutritional Facts, Pasta, Serving size, Soups and Stews, Special Diets. Bookmark the permalink.